Sounds excellent! Must own record if you are Justice fan. I think, vinyl sound quality is the best of my collection. Thank to Justice and sound engineers, who made it real. This is an amazing pressing. Next to no noise, no skips from the PUNISHING bass. Loved it, probably the most dynamic record I own. How does this repressing sound? I'd love to get my hands on a first pressing but they are a bit expensive. Good pressing! This vinyl includes an alternate version of the track "D.A.N.C.E." in place of the original mix (I think it's an extended mix). Nice surprise! I just got a copy through Amazon that sounded terrible; very muddy and clipped. Also, a pebble-sized chunk of wax made its way into one of the jackets, ultimately gouging multiple tracks on side C. With any luck this was a fluke and the replacement will live up to the other reviews here. I'll update when it comes in. UPDATE: Same issue with the second copy, minus the scratch. I'll have a closer look soon and make sure this is, in fact, the pressing listed above (which I'm a little dubious of considering there was no fold out poster, though that could be referring to the gatefold). Damn good pressing! Had no issues with it whatsoever. Get it while it's cheap! Are these the earlier alternate mixes or the same as the standard, retail release? When I first got the digital copy of this album, I loved it. I'd only heard Waters of Nazareth, One Minute To Midnight and maybe D.A.N.C.E. I'd recently got back into electronic music and was big into the Ed banger and Kitsune Maison comps. Justice's tunes though, were somehow on another level for me. In some cases, that can separate an artist from a scene (eg. Basement Jaxx), but in this case, their tunes were high moments in DJ sets. A lot of albums by electronic artists I find can be patchy, with half the tunes being fillers, but this is not the case here. Obviously there are cheesy moments (D.A.N.C.E. , Tthhee Ppaarrttyy, DVNO), but that only makes the harder tunes even more effective (Stress, for example). Overall it's a great album. You can hear influences from 1970s rock and pop, to Kraftwerk and Moroder, to heavy metal, to score writers like Goblin, all worked together into almost a concept album. The sampling is for nerds. Tenebrae OST, the video version of Jocko Homo etc etc... Which really makes for interesting listening instead of the obvious disco loops and funk breaks. ...Then I bought the CD release. Looks great, as the underside of the disc is black, but what really blew me away was the sound. This is a prime example of testing mp3s against CD audio. The depth and clarity of the sound is just amazing. The mastering and overall production is 10*, even though visually it appears as a brick wall. 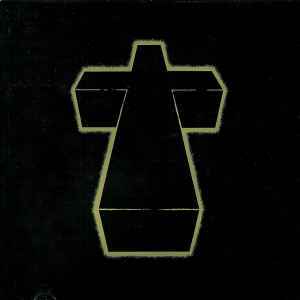 Comparing Justice to Daft Punk is pointless, just because they're both French and producing electronic music. They're worlds apart, apart from by location. This truly is one of the jewels in the crown of 00s best albums in my opinion and an important album from the whole electronic indie / nu-rave (I hate that term too) / Frenchtouch revival era of 2006-2011. A must have... And honestly, on CD (maybe vinyl too, I haven't heard it on that format) it sounds absolutely immense (providing you have a good stereo / sound system).